Ms. Jaffee–heard you on Leonard Lopate today and wanted to reach out to tell you the story of how allergy moms have had to organize and forge their own private Facebook groups to let other allergic parents know about OIT–a safe, affordable, effective treatment for food allergies–in the face of FARE and allergy research institutes’ attempts to suppress this information. Why? Because they’re investors in super-expensive OIT versions coming down the pike in 2018). In the face of Epigate, this is really the other half of the same story; can I interest you in breaking it? …….This weekend is pivotal in that the Piikani Nation, Tribes of Canada and the US Tribal Leaders are signing treaties to oppose the De-Listing of the Grizzly Bear and Trophy Hunting of this species. The Treaty shall be signed in the United States at Jackson Lake Lodge on Sunday. I wish Representative Grijalva could be here with us. IT commences at 2:00 pm MT. It will be posted on the Goal Tribal FB later in the evening/video. The press on this event and the treaty is also attached below. Of significance right now is the press from the Sacramento Bee wherein Secretary of Interior Jewell promises the Tribal Nations more voice. The Tribes have been totally ignored in regard to the de-listing process to the point of being physically removed from the podium and not allowed to speak. This is all recorded. The insult was/is obvious. Brian Nesvick of the Wyoming Game and Fish Department physically moved a tribal elder aside without acknowledging his authority or right to be heard. This is one of the video’s on the Goaltribal.org home page. It is my prayer that this will encourage Secretary Jewell to be mindful of the voice and authority of the First Nations now both in the USA and in Canada. We can have no borders in terms of water, air, wildlife, trees. I have advocated for the Grizzly Bear in Wyoming since 2009. I can state with certainty that the state of Wyoming in its alleged conservation strategy shall not only reduce the Grizzly Bear population but ensure no connectivity among populations as any bear outside of the DMA shall be free game to be killed for little reason and without being counted. Grizzly Bear outside of the DMA or in areas necessary for connectivity shall have no real or viable protection. I know that the legal regulatory mechanisms in place now in Wyoming are not adequate to protect the Grizzly Bear species. How do I know this? In 2009 I advocated for and succeeded in achieving the very first time in Wyoming, prosecution of a hunter who allegedly shot a grizzly bear in Self-Defense. What I learned in assisting this prosecution was staggering. The DOJ had never prosecuted a case of alleged self defense. They had no sample Jury Instruction on Self-Defense – Grizzly Bear, because they gave the hunter the benefit of the doubt. If he said he was scared that was enough. There is now no law defining what is a legal shooting of a Grizzly Bear in Self-Defense and still no jury instruction. In Wyoming the WGFD represents the hunter. They are the hunters advocate. Few cases are prosecuted and the investigations void of proper forensics. I have defended 18 homicides. I know what a proper crime scene investigation entails. Wildlife is not managed in the Public Trust. Please feel free to contact me if there is any question in this regard. A special committee that has been studying potential Yellowstone grizzly bear delisting procedures on Monday will feed its report to the Yellowstone Ecosystem Subcommittee of the Interagency Grizzly Bear Committee for consideration. The Jackson Hole YES session on Oct. 3 is another step in a series of events that could lead the U.S. Fish and Wildlife Service to remove the bear from Endangered Species Act Protection as it has suggested. The committee’s comprehensive report discusses the conservation strategy to be implemented by Wyoming, Montana and Idaho if states take over management jurisdiction of the bears. “The only purpose of the meeting is to approve the conservation strategy,” said Brian Nesvik, Wyoming Game and Fish chief warden and head of the wildlife division. Taken into account during deliberations for the report were summaries of 296,000 public comments and the review of nearly 1,000 pages of delisting documents, including exhibits and addendums. Opponents of delisting the grizzly from federal oversight have also mobilized to be heard ahead of the meeting. This weekend, in a two-pronged program, 50 federally recognized Native-American tribes are scheduled to sign a treaty agreement supporting protection of the grizzly on the basis of the animal being sacred and because of its significance as a religious and spiritual symbol. bers of the Piikani Nation. A second signing is scheduled for Sunday at Jackson Lake Lodge in Jackson Hole, the day before the YES meeting. Also, the Greater Yellowstone Coalition issued a statement supporting the delisting program concerns of U.S. Rep. Raul Grijalva (D-Ariz.). Grijalva sent a letter to Fish and Wildlife questioning if the states will reduce the bear population and fail to connect Yellowstone bears with Northern Rocky Mountains bears. Grosskopf has been part of the six-member YES sub-committee that for several months has essentially rewritten guidelines in existence since 2007 for the management team to apply to preserve the bear for the future. Fish and Wildlife has kept a watchful eye on the Yellowstone grizzly since the early 1970s when it was determined the bear was in trouble. During the intervening decades, as the bear population expanded in the Yellowstone Ecosystem, the grizzly was studied, monitored and even nearly delisted once before. Current estimates place the population size at 750 to 1,000 bears, up from a low of 136 in the 1970s. Since the federal agency proposed delisting months ago, certain criteria have been set with the aim of ensuring a healthy bear future. Some are statistical guidelines for state management, including establishing a minimum number of bears, a minimum number of bears with young, evidence that bears are occupying 16 of 18 territory units where they roam, and setting mortality limits that cannot be exceeded in a year. Grosskopf said the steering committee put in uncounted hours to come up with a proposal and much of that dealt with public comments. “Hopefully,we’ve addressed all that,” he said. Anyone coming forward now simply to say just don’t delist without explanation, will have no impact, he said. “If not, tell us why,” Grosskopf said. Early in 2016, Nesvik said he felt there was a good chance the Yellowstone grizzly would be delisted by the end of this year. He is not sure that will happen, but still believes it is possible. I’m with CBC News Network, Canada’s most watched news program. Wondering if you might be interested in taking part in a panel discussion (8-10 mins with one other guest) about ‘What The Media Got Wrong’ in this election. Came across your book and your piece in the NYTimes…would love to get your take. Might you be interested/available – aiming for this Saturday at noon. We would like to request you to be one of our speakers for the 2017 Georgetown University McCourt Policy Conference on the afternoon of 24 Feb 2017 on the main campus in Washington, DC. This year our conference theme will focus on case studies whereby cohorts feels disenfranchised. 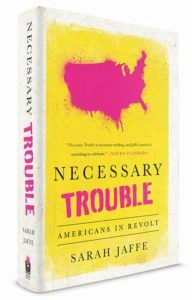 We feel your journalistic background and your most recent book, Necessary Trouble, makes you perfect as a perspective speaker. If the date works for you, please let me know, and we can discuss how we can make this work. I have a prospectus ready to send to you.